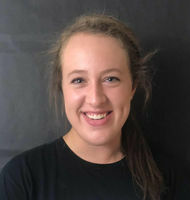 Senior Anna Muh is a two-year returning staff member to the McIntosh Trail. She joined the Trail in her junior year as a staff writer and is thrilled to be back for her senior year as the News Editor. Muh has a deep background in writing. Along with serving as the Trail’s News Editor, she is the President of the school’s chapter of National English Honors Society and the Co-Editor in Chief of MisChief, the school’s literary magazine. Outside of school, Muh also writes for the “Travel Tales” section of the local magazine Lake Kedron Living.